However, it remains unclear how the bill’s passage in parliament would affect the Gourd’s activities in the Persian Gulf, where the U.S. Navy has in the past accused Iranian patrol boats of harassing American warships. The Guard’s designation — the first-ever for an entire division of another government — adds another layer of sanctions to the powerful paramilitary force and makes it a crime under U.S. jurisdiction to provide it with material support. 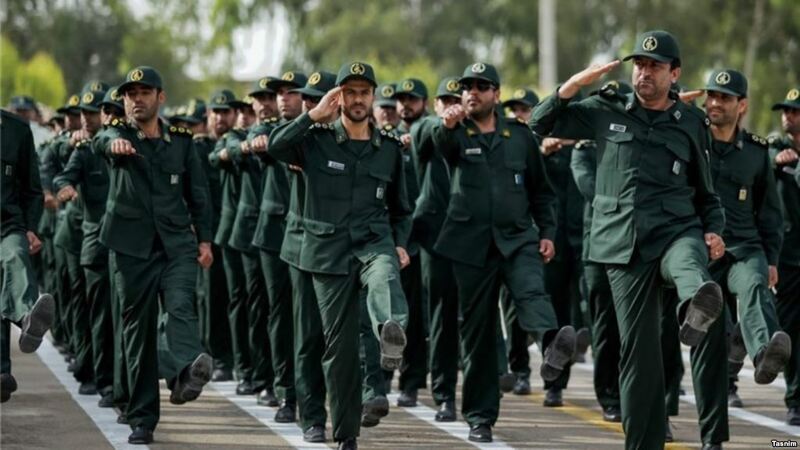 Iranian media reported Tuesday that Instagram suspended accounts believed to belong to four Guard commanders, including its commander, Gen. Mohammad Ali Jafari; the leader of the Guard’s foreign wing, or Quds Force, Qassem Soleimani; Chief of General Staff of Iranian Armed Forces Maj. Gen. Mohammad Hossein Bagheri, and one of his deputies, Gen. Musa Kamali. Depending on how broadly “material support” is interpreted, the designation may complicate U.S. diplomatic and military cooperation with certain third-country officials, notably in Iraq and Lebanon, who deal with the Guard.